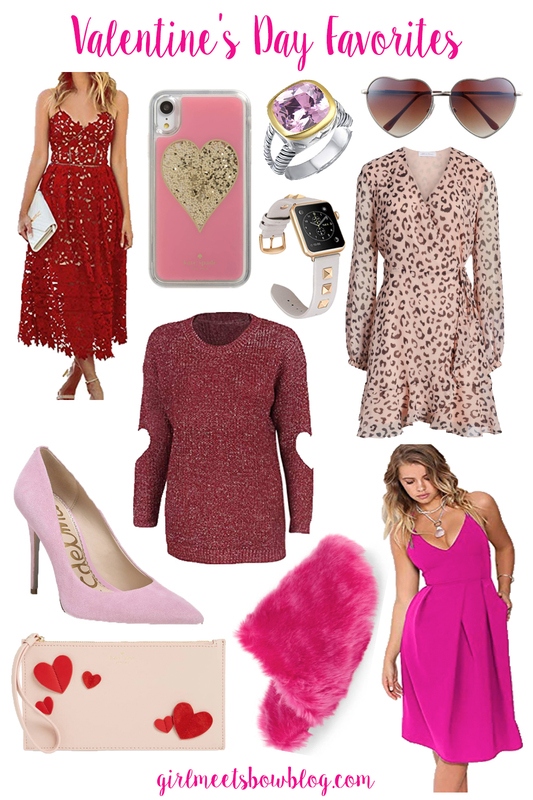 Sharing the perfect pieces for a Valentine’s Day filled with love! I have always loved Valentine’s Day- whether booed up or single- how could I not love a holiday that revolves around pink & red, hearts, and love!? There are so many cute outfits, decorations, and accessories that make it extra special to celebrate a day of love! As someone who has spent several Valentine’s days single, one of the things I always remember is that love isn’t just romantic- so I try to use this day to celebrate my friends & family too (and Buddy)!! No matter how you’re celebrating, or who with, I’m sending ALL kinds of love your way! Previous Post Pink Striped Cardigan Under $25! Next Post I’M GOING TO NYFW!!!! What fun pieces for Valentine’s Day! I LOVE the red dress – but I must say, I was super impressed that you included a sweater – that is exactly my cup of tea for Valentine’s! Cozy celebrations are always fun in my book!